Hope you all are having a great weekend. In my previous post I shared some simple skin care hacks that will help you in achieving brighter skin. Today am with review of a product that I bought in my blue heaven haul. 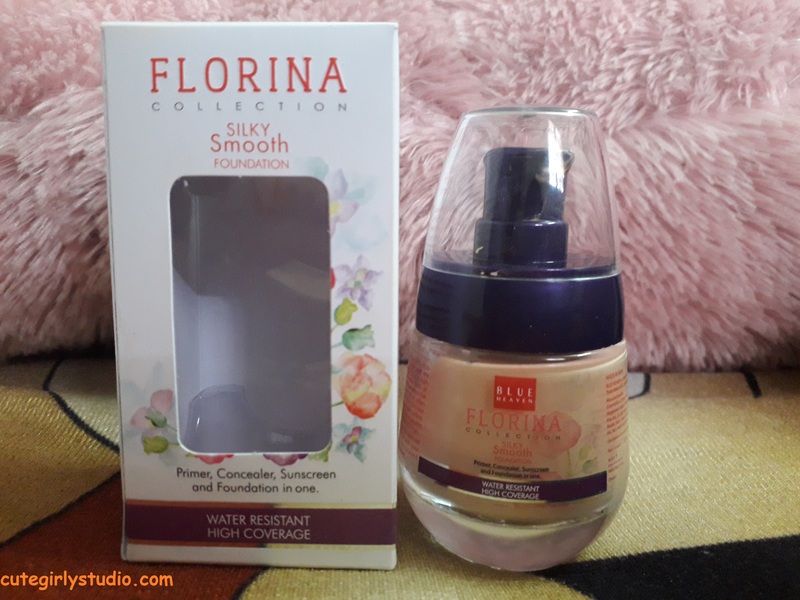 From the title itself you know that today am going to review blue heaven florina foundation. The reason I bought this foundation is because I saw many you tubers raving this product. I have seen many comparing this foundation with maybelline fit me foundation. So I thought this would be a try worthy product and gave this a try. Read on more to know about blue heaven florina foundation. Blue heaven florina foundation is made of a unique formula that contains light and dry emollients which helps in high coverage and matte finish all day long.This foundation has a built in primer which offers 8 hours of wear and concealer to correct uneven skin surface. It also has sunscreen to protect your skin from deadly UV rays. Dab over the cleansed skin and blend in with your fingers in a up-outward direction till absorbed. Rs 175 for 30ml of product. You can buy this from nykaa here .you can also buy this from blue heaven website here. The blue heaven florina foundation comes in a cute little glass bottle with a pump dispenser. The glass bottle comes in an outer cardboard that has all necessary information in it. The foundation bottle is cute but not travel friendly. The cap of the bottle is not at all tight and it opens easily. So if you travel with this foundation then it will be a great mess. The cap doesn’t shut properly. The glass bottle is heavy so , it is not apt for travelling. The blue heaven florina foundation comes only in 2 shades. The shades are saffron glow and natural glow. There is not much difference between the 2 shades and they both look almost similar on your face. Am in the shade saffron glow. 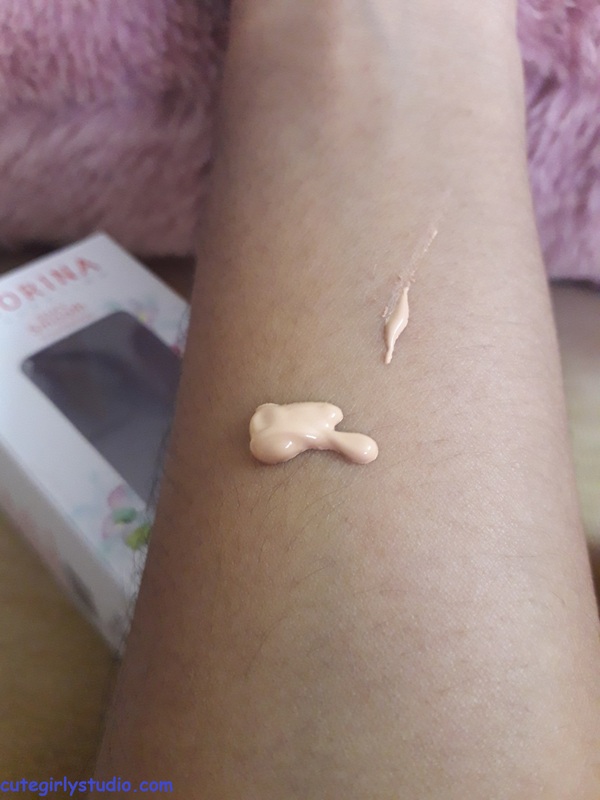 Initially I thought it will have pink under tone and it won’t suit my skin but it is not at all pink and it is slightly on the orange undertone. There is no shade for even wheatish skinned beauties let alone the dusky skin. The blue heaven florina foundation is worst in this part. I read great reviews about this product in nykaa, some said that it melts into skin like butter. Oh God !! It is not at all true in my case. This foundation never blends quickly. 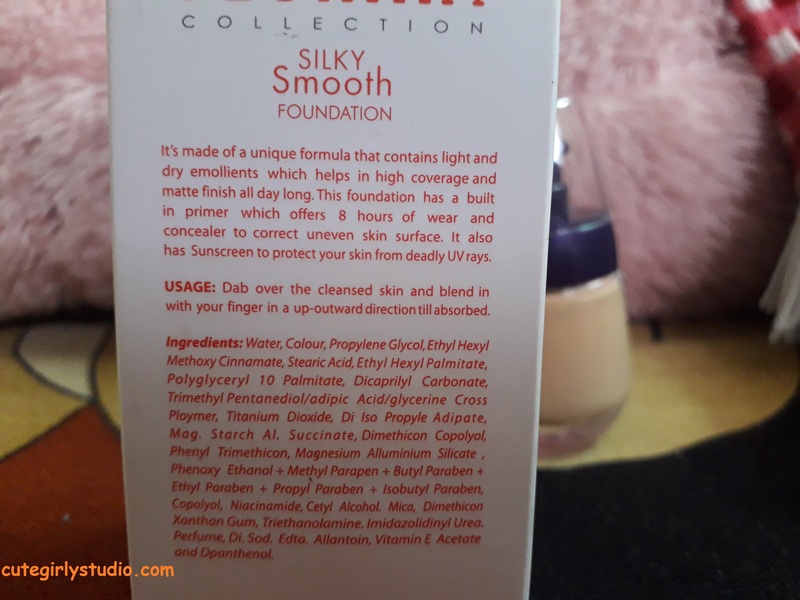 I have tried this foundation on all skin types in order to review this properly, but it took time to blend irrespective of the skin type. I tried it on my oily skin, my mom’s dry skin and also on one of my cousin who has normal skin. This blue heaven florina foundation took time to blend on all skin types. It just settles into your pores and fine lines and it becomes really tough to blend properly.It dries of quickly. So you must be an expert in order to blend this or you should have patience to blend this. Don’t ever blend this with your fingers as mentioned on the packaging.It just makes your skin look pale and patchy. It blends only with sponge. So don’t try to blend this with brush or finger. Try to use blender or foundation sponge. After blending this blue heaven florina foundation settles to a semi matte finish. It is not completely matte nor dewy somewhere between these. I personally like matte finish since I have super oily skin. Since this foundation is semi matte. This suits all skin types. Blue heaven florina foundation is nowhere near high coverage foundation as claimed. The coverage is between sheer to medium. Since I blend this with colorbar peppy duo foundation sponge, this gives sheer coverage. This foundation will just even out your skin. It doesn’t hide spots and scars as claimed. I have acne scars on my cheeks, it doesn’t cover them nor I expect this to do. It gives coverage that garnier BB cream gives. You can’t built this foundation’s coverage since it goes cakey and patchy with layering. I don’t think that this blue heaven florina foundation is a must try product. Your base should be proper and flawless, so that your whole makeup look is flawless. So i would recommend you to spend some extra bucks and try some good foundation. If you are in a tight budget then you can give this foundation a try. If you want any base product in this price range I would suggest you to go for BB creams rather investing in this foundation.Beginners will find this to be difficult to blend. So this foundation is not recommended for beginners. Love your honest and detailed review. You have done a good job before writing the review. Thanks for sharing.